GIGO at SanO: Steam Generator Replacement: A major failure for computer simulations? It now appears that the months-long shutdown of the two reactors as the San Onofre Nuclear (Waste) Generating Station might be the result of an over-reliance on computer-aided design software, as well as a massive failure of engineering analysis in general. Meanwhile, a 3.9 earthquake this morning struck about as far north of the plant as I am south of it. The quake was unusually sharp, and reportedly "felt like Mike Tyson punching the building." Maybe it's a REALLY good thing the plant is closed right now! This $680-million failed replacement steam generator project appears to be on par with the failure of the hanging walkways at the Hyatt Regency Kansas City Hotel in 1981 (which killed 114 people), the "Galloping Gertie" bridge disaster across the Tacoma Narrows in 1940 (which killed... a dog) and, of course, the "unsinkable" Titanic, which went down one night in April 100 years ago, killing 1,514 people. Her sinking has been blamed variously on bad rivets, too much speed, the lookout's inattention and a number of other possible contributing factors. The large number of deaths is mainly blamed on the lack of lifeboats, which is almost exactly like the Nuclear Regulatory Commission's ridiculous 10-mile evacuation zone around our nuclear power plants. Beyond that, virtually NO planning is done: you will sink or swim on your own (and you will find out if you should leave on your own, too!). After Fukushima in Japan, our own state department recommended evacuating (Americans) from a 50-mile area around THOSE plants! Why not here? Too costly? Yes, that too, but mainly, IT SIMPLY CAN'T BE DONE. Last January, about a year after installation, one of the thousands of thin tubes inside one of the four new steam generators that were replaced at the two reactors at San Onofre ruptured. Some radiation was released. Does it compare to "Galloping Gertie"? That bridge cost $6,000,000 to build (in 1940). San Onofre's steam generators cost about $680 million to replace, and doing so again will probably cost even more (they'll charge it to the ratepayers, just like last time). When the tube inside the steam generator ruptured, primary coolant escaped into the secondary coolant loop. Primary coolant is highly pressurized, highly radioactive, fast-moving, very hot water which is also full of toxic chemicals. The super-heated primary coolant spewed into the secondary coolant loop, flashing to steam as it came out at about 1000 psi differential between the two loops. The reactor was safely shut down, but not before the radioactive coolant that flashed to steam was condensed back to liquid at atmospheric pressure, and radioactive gases that had previously been entrapped in the highly pressurized primary coolant loop's fluid were released to the atmosphere -- and thus, to the public on I-5, which runs nearby, and at the nearby surfing beach. Months later, both reactors remain closed. Subsequent testing and checking has just ended (for now), and has undoubtedly revealed ... who-knows-what problems to the operators of the plant? They aren't telling the public what they've found, but perhaps they've shared it with the Nuclear Regulatory Commission. Perhaps not. It could have been poor fabrication techniques but that now appears to be the less likely culprit. However, those techniques are often proprietary, which means... we're not allowed to know what they are. But they might involve -- depending on the alloy, which depends on which part of the steam generator we're talking about -- quenching, annealing, bathing in a chemical solution to dissolve precipitates, welding, grinding, molding... and each of these processes have specific conditions such as hydrogen or nitrogen atmospheres, high (or low) temperatures and pressures and lengths of times. Testing for proper manufacturing might include photoelasticity analysis, eddy-current testing, sampling, x-ray imaging, and maybe banging on things with a little rubber hammer to hear how they vibrate, for all I know. Maybe they skipped that step. "The shutdowns will cost SONGS $1 million each day just for replacement power (at 4 cents per kilowatt), and so any overlooked steps or unanticipated challenges could send costs soaring... PLM [is a] business strategy that includes the use of a sophisticated suite of 3-D design, modeling, and simulation software and processes. But SONGS engineers are the first to apply this strategy to the nuclear industry, using PLM to plan and validate major operations involved in replacing the steam generators... The PLM process has already been applied to the steam generator project at SONGS. Mockup capabilities were used to verify the equipment designs developed by Mitsubishi through the use of more traditional, paper-based methods. Most contractors in the industry still use these traditional methods, and PLM allows SONGS to verify contractors' proposals quickly and affordably." "Software also manages the relationships among various disciplines of design data, applying restraints and standards to alert design engineers to clashes or inadequate clearances and ensuring compliance with the company's design standards, as well as Nuclear Regulatory Commission regulations." We've learned that many of the tubes were degrading because they were banging into each other. Were THOSE clearances adequately analyzed? I think not! The software allowed Southern California Edison to: "simulate the stresses on key pieces of equipment." The tube are also clanging into their support structures, and wearing excessively because of this movement. So they evidently didn't do this step correctly. Were the tube-to-tube clearances redesigned too close together? They added hundreds of tubes, so that's a distinct possibility. Are they running them too hot, to generate more steam, and/or with too high a flow rate or pressure? Reactor operators constantly want to "uprate" their reactors for greater output (to make more money). Are there very uneven flow patterns from tube to tube? Are there unexpected swirling circulation patterns of steam on the steam side of the tubes, causing vibration which is the root cause of both types of wear they are seeing? Is there a "galloping Gertie" type of phenomenon going on inside the steam generators? What kind of sensors are they using? How many of them are there? It could be a complex combination of many factors that are causing the unusual degradation. Activists would certainly like to know what the problem actually is, although the main question remains unanswered: WHY are we generating electrical power by such a dangerous method in the first place? "The plant refuels every 20 months, and that is enough time for workers to forget lessons learned on the previous refueling." Kinda scary when you think about it. But it goes on to assure us that: "With the simulation software, SONGS can capture those lessons from one outage and use them again during the next outage. Time and motion studies performed in virtual 3-D on standard outage tasks also allow SONGS to identify the most efficient procedures possible, saving time and money. Officials at SONGS see PLM as a critical strategic process that enhances the plant's ability to perform one-of-a-kind projects efficiently, cost-effectively, and, most important of all, safely." Safely? Fortunately only one steam generator tube failed while the reactor was operating (seven more failed in subsequent testing). A cascade of tube failures could have been catastrophic for all of Southern California. The steam generator replacement project was the second use of PLM at the plant. They first led the nuclear industry by using the software to simulate a "thimble rod" repair project which required hundreds of hours of radiation exposure to divers at the plant, who went into the reactor itself. Subcontractors are always used for these sorts of things because long-term plant worker's exposure limits would be exceeded. Divers are usually young ex-Navy guys of course, who are always in plentiful supply, and who are eager to make some extra spending money for a few hour's work. They are assured their exposure will be carefully measured and limited. Many will be smokers whose lifetime polonium-210 intake from the tobacco will, indeed, way exceed their radiation exposure during their work as "thimble rod cutters" at San Onofre. And in any event, cancers would not occur for many years afterwards, and the divers would be unable to prove in court that SanO was to blame. They might not even think of it. San Onofre's operators complained that the old manual process is: "slow and time-consuming and requires countless checks to ensure that you have covered all your bases. PLM is undoubtedly a better process..."
But when it isn't, it's worthless. Let's keep San Onofre closed FOREVER. The author, a computer software developer, has spent more than 40 years watching the nuclear industry wreck itself and the rest of us. I don't know about you, but I'm having a lot of trouble trusting nuclear scientists these days. They couldn't prevent Fukushima and, now that it's happened, they can't fix it. It's still spewing, and their best estimates are that it will take 30 years to "clean up" -- AS IF there was ANY place to put the mess! Tank farms of highly-irradiated water is NOT a solution! After Chernobyl we were assured that "Western" reactors are different, and completely safe from meltdown. They are different, but they are not safe. Now, a year after Fukushima, yesterday's Japan Times contained an article by an MIT-trained nuclear engineer. The author apparently could not conceive of the idea that it is essentially impossible to make a safe nuclear power plant. By that I mean that even with infinite funds, you'd still have to contend with human error. But even so, funds are NEVER unlimited. The author listed about a dozen things that went wrong in Fukushima, claiming that if any of them hadn't gone wrong, the meltdowns could have been prevented. Perhaps that's true, but there will be other meltdowns, and even if all the author's recommendations were taken (which has a snowball's chance in a reactor core of happening) there would still be meltdowns or worse at our reactors. He hasn't covered airplane strikes against dry storage casks, for instance. I suppose his main suggestion should be considered wonderful in theory. "If you are operating a nuclear reactor, you must find a way to bring it down to a cold shutdown in any type of emergency." Isn't that grand? An MIT-trained nuclear physicist, writing in the Japan Times, tells us this! If only they had listened to him 50 years ago, when then designed those old Mark 1 Boiling Water Reactors! But there are SO MANY "Achilles' heels" in THAT design! Nevertheless, even I can assure the MIT-trained nuclear engineer that avoiding meltdown was PARAMOUNT in the original engineers' minds, as well! What does he THINK they were thinking about?!? They thought of everything that they could think of that could possibly go wrong, and designed a way that would unquestionably (probably, hopefully, maybe, possibly... within budget constraints) prevent that triggering event -- or series of events -- from happening. That's how nuclear power plants have ALWAYS been built! What is he, the one that can suddenly fix everything? Let him stop Fukushima from spewing then. The ONLY constraint on safety has ALWAYS been money. First there's the problem of getting enough of it to build the reactor in the first place. You can't convince Wall Street to invest in them, so it's invariably the ratepayers at the insistence of the government who pays, and they want to pay as little as possible, as would anyone else. Then cost over-runs start to set in: Bad parts get delivered, bad welds get discovered, bad concrete pours have to be torn up and redone.... or you could look the other way, and that's what often happens. Lack of testing equipment means you can't make sure the metals your supplier supplied you with are of the quality they say they are. Everything costs money, and nuclear power plants are in the business of making money out of something that's here today, and... here tomorrow, as nuclear waste. The electricity that is generated is gone in an instant -- used or not. Most is used, of course, so it can be billed, but any that's unused is lost forever, and the nuke plant itself needs dozens of megawatts just to run its own pumps. When building or making repairs to a nuclear power plant, it's always a question of money. The MIT-trained nuclear engineer points out that San Onofre -- pardon me, thats my local nuclear power plant, which is just as bad but of a different design -- he points out that Fukushima had one functioning generator but needed two or three. The author explains that the one functioning generator was ONLY functioning because plant operators wanted to SAVE MONEY by placing it far away, which happened to be up a hill. Saving money at nuclear power plants usually doesn't help, but in this case apparently, two of the six reactors at Fukushima were able to be cooled because of this piece of luck. The author seems to miss the obvious: If it wasn't this mistake, it would have been something else. San Onofre, my local nuclear reactor, is completely shut down right now (like all but one reactor in Japan) and may never reopen. Why not? Because the steam generator tubes (made in Japan, by the way) clang into each other. Why does that happen? Apparently because the plant tried to increase the power output of the reactor by adding nearly 400 extra tubes when they ordered a "like-for-like" replacement of the original (four) steam generators, which were supposed to last the entire lives of the (two) reactors. The original steam generators didn't last because they ran 'em too hot, I suspect. A couple of years ago they realized that as soon as the tubes wear out, they can replace them with steam generators that have more tubes inside but still fit in the same locations. (Or thought they could.) So they upped the power output of the reactor, which caused the tubes to fail more quickly than the normal life of the reactor -- but they didn't care. They knew our California Public Utilities Commission would stick the ratepayers with the cost of the replacement steam generators when the time came -- and they did. SanO's owners wanted to avoid having the steam generator replacement happen at the same time as the much more risky license renewal because there's ALWAYS a lot of opposition to that. San Onofre's owners got through several steps of this process. The Nuclear Regulatory Commission saw it as a "like for like" replacement even though it wasn't, the ratepayers were charged with the costs of replacement, it happened years before license renewal, and best of all (from the utility's point of view), the utility ALSO made billions of extra dollars while they ran the reactors at extra-high power, pressure, and temperature, blowing out the gaskets, seals, and tubes! It's like how you treat a rented car. Only the difference is, things can go wrong when steam generator tubes burst. They are very thin, fragile things, with a thousand pounds of pressure differential on one side from the other. One tube failure can lead to another, and another, and another, which can lead to an inability to cool the reactor. Fukushima USA. is what it could lead to! But the utility company's biggest worry isn't that, because they figure one of the backup systems will work (they might be right, but they might not be). Their biggest worry is this: Because the new replacement steam generators have ALSO failed, just like the old ones but faster, they now have to try to stick the ratepayers with the whole cost over again, and it's only a few years from license renewal, AND Fukushima happened in the meantime. And the Internet grew. And the local citizens are up in arms. And many of the local politicians want the plant closed permanently, too. Everyone grasps what could happen there. Our homes could be lost, our lives ruined, our economy destroyed. So getting San Onofre up and running again is not such an easy battle for the utility this time. Japan may be down to zero reactors soon, and California is already at half it's normal strength and might stay that way. The real nuclear nightmare is undoubtedly just beginning. Not only is the probability of accidents ever-increasing as old reactors get older and their parts (and their replacement parts) wear out, but complacency has plagued every industry where vigilance is necessary, and the nuclear industry is no exception. It happens to pilots in cockpits, astronauts in space capsules, lookouts on watch for sneak attacks during war, it happens to people trying very hard NOT to get pick-pocketed. Then they get bumped by a pretty girl, a deft hand on the other side grabs the wallet, a third person helps hide the activity, and then leaves with the booty after a hand-off. It's orchestrated. The nuclear industry orchestrates to steal lives. They steal them from children, infants, and everyone else, as well as from the animal kingdom. In addition to causing billions of deaths in the animal world from Fukushima alone, radiation disasters have caused millions of deaths in the human world already, and Fukushima will undoubtedly increase that toll substantially -- especially if Spent Fuel Pool 4 falls. Meltdowns are hardly the only worry at nuclear reactors. In fact, it's the ever-growing, glowing, spent fuel that worries many people the most. Solar, wind, geothermal, wave, tide, biomass... these are all ready to replace nuclear power. They need a fighting chance, instead of handouts to the nuclear industry. 2) Japan Times article on "probability theory"
A year has now passed since the complete core meltdowns of three boiling water reactors at Tokyo Electric Power Co.'s Fukushima No. 1 plant. Because of the limited and biased information issued by the Japanese government, the world does not know what really happened when the earthquake and the tsunami hit the six Fukushima nuclear reactors. There are many important lessons that must be learned to avoid a future disaster. These lessons can be applied to all the nuclear reactors globally. People around the world deserve the right to know what happened. 1. Three of the six reactors of Fukushima No. 1 had a complete core meltdown a few days after the tsunami hit. The molten fuel penetrated not only through the bottom of the thick pressure vessel, but also poked holes at the bottom of the containment vessel, thus releasing fission materials into the environment. The meltdown itself started at 11p.m. on the day of the tsunami, March 11, 2011. 2. As expected, the meltdown caused the fuel cladding material, zircaloy (zirconium alloy), to react with vapor and to create large quantities of hydrogen and zirconium oxide, which caused the catastrophic hydrogen explosion that blew out three reactor buildings. The hydrogen explosion took place on March 12, 14 and 15. The Japanese Government did not admit to the meltdown until three months later, nor did they admit to the damage to the containment vessels until a half year later. Our government tried to hide this important information for some reason, though judging from the amount of fission material released and from the size of the hydrogen explosion, the meltdown of the entire core was undeniable for anyone who has studied reactor engineering. 3. The earthquake on March 11 damaged all of the five independent external power supply systems, and the 15-meter-high tsunami damaged all of the pumps and motors of the main and emergency cooling systems that were constructed along the shore line, thus disabling the cooling system that pumps in sea water. 4. The tsunami also sent massive amounts of water into the reactor buildings and the turbine housing, thus soaking the emergency diesel engines and batteries, which were stored in the basement of these buildings. This meant that all sources of emergency backup power stored in the basement of the reactors were totally destroyed. 5. There was an air-cooled diesel engine sitting atop a hill close to Reactor No. 6. Its airfins were too big to fit into the basement and was luckily placed outside, and as such, this engine started to generate electricity. With a pump brought in from outside, it started to cool not only Reactor No. 6, but had enough power to cool Reactor No. 5. Of the 13 emergency generators associated with the six plants, this was the only one of the three air-cooled backups, and hence not dependent on water as the heat sink. This air-cooled diesel engine was the only one not entirely submerged in water, but in fact at one point the water level did reach up to half its height. A few weeks later Reactors No. 5 and No. 6 were brought to a cold shutdown. 6. The buildings of reactors No. 1 and No. 3 were blown away by an explosion of hydrogen generated by the core meltdown. Reactor No. 4 eventually exploded, though its core had no fuel inside due to a periodic inspection that meant the fuel rods were stored elsewhere. It turned out that the Reactor No. 4's building filled with hydrogen that leaked from Reactor No. 3 through their common gas release ducts. Reactor No. 2 escaped from the massive explosion, although its core had completely melted. Its windows were blown away most likely by the explosions from neighboring reactors No. 1 and No. 3 and the hydrogen inside Reactor No. 2 escaped into the air. These facts teach us one important lesson: The Fukushima accident could have been avoided if the plant had had the capacity for electricity generation of any form along with the appropriate heat sink. It is also clear that it was not the "unexpectedly high" tsunami that caused the accident. Reactors No. 5 and No. 6 remained intact, even though they were damaged to the same extent as the other four reactors by the earthquakes and tsunami. The difference was that they had a source of electricity through the air-cooled emergency diesel engine that had been was installed ad hoc by the management because they wanted to save money when the government demanded increased back up from two to three emergency generator sets. The most important lesson of Fukushima No. 1 plant, therefore, is that we should have multiple sources of electrical supply and cooling heat sinks. This is not to say that "you should not put all of your eggs in one basket." What I want to say is that we should have eggs and apples in a few different baskets. The Japanese government has tried to explain and offer excuses for the disaster in Fukushima, but no one in the government has accurately analyzed the situation. They continue to claim that the magnitude of the earthquake and tsunami was a natural disaster far beyond anything anyone could have imagined or planned for. But is this true? Was it a catastrophe that could not have been avoided? My analysis takes a totally different point of view. It shows in documented detail (pr.bbt757.com/eng/) that if you want to operate a nuclear reactor, then you should not assume anything about potential disasters ­ be they earthquakes, tsunamis, terrorists or a plane crash. No matter what happens, if you are operating a nuclear reactor, you must find a way to bring it down to a cold shutdown in any type of emergency. We now know from the Fukushima disaster that this will require electricity and heat sinks. It is a pretty simple principle. But there is also another important lesson to be learned, and it applies to all operating nuclear facilities around the world: If you have to assume something, then you are not prepared. All nuclear reactors in the world have been designed using probability assumptions. This idea was originally proposed by professor Norman Rasmussen of MIT. Put to use, it is a scientific way of expressing what the public will accept. For example, what is the probability of a plane crashing into Yankee stadium with a full audience during the World Series? This can be calculated if one assumes that there is a level of probability for each element leading to the eventual accident. And, despite the probability, because it is infinitely small, the public tacitly accepts it. This principle was followed at Fukushima. Assumptions were made about possible causes of nuclear plant accidents. Engineering precautions were taken accordingly so that everyone could feel rest assured knowing "the reactor is safe." In Japan, the Nuclear Safety Commission made this fatal mistake by relying casually on this probability theory. They assumed that the probability of a long-term stoppage of the external electric supply "in a country like Japan" was very unlikely, so they did not have to assume and plan for a prolonged power breakdown. With this assumption in mind, they insisted on having three emergency generator sets per reactor. They gave no further thought to the possibility of a situation that could include the breakdown of all external electrical connections. Fukushima No. 1 had five different paths for the grid to come in, but all of them were destroyed by the powerful earthquakes 45 minutes prior to the tsunami. It would have taken only one active electrical connection to stabilize the reactors after the tsunami hit. The government did its best and brought in mobile generators from outside. There were two problems with this tactic. First, all of the three electric panels in the reactors that needed to receive outside power were submerged in water. To make matters worse, the mobile generators couldn't plug in. The final straw was that the GE-built plants were on a 660-volt power line needed to run the plants, but the mobile generators brought in by the government were usually used on construction sites and they were limited to only 220 volts, the standard voltage in Japan. The mobile generators were useless in this situation. Had the Commission made assumptions about the possible loss of the external electrical supply and ordered the plant to be equipped on site with other external power generation, be that solar, wind, gas turbine or even small LNG power stations to back up the six gigantic reactors, this disaster could have been averted. It is very important to note that the one small gas turbine generator that was on site worked, but unfortunately, the one generator that worked was only connected to the control room for administration, and this power could not be shared with the reactors. There has been a lot of useless discussion about the tsunami's power and size. Historically, people have assumed that the maximum height of observed tsunamis along the eastern shore of Japan is no more than 10 meters. Until this disaster occurred, the probability of a 15 meter tsunami hitting the Japanese coast was so low that one did not have to plan for such an unlikely event. It was known in some circles that a major tsunami could in fact hit the Tohoku coast. History shows that extreme tsunamis hit Tohoku at least once every 10,000 years. What we learned in Fukushima is that even if an event is predicted to happen infrequently, it will happen! To then talk about the probability is moot. The probability is now 100 percent and we have to face the challenge at hand and find a way to safeguard the reactors. As a nuclear core engineer I can tell you that reactors are built to withstand the expected hardships. In light of what happened in Fukushima No. 1, the assumptions were completely wrong. In order to make nuclear energy work we must build reactors that can reach cold shutdown with 100 percent certainty, no matter what happens. Assumptions and probability are for the theoretical dreamers. If you have a hot reactor, submerged in water and this reactor is without the power to circulate the coolant that can shut it down, then you have to find another way to cool it no matter what. If you have lost your last resort of power and heat sink, you should not have taken on the responsibility to operate a nuclear plant in the first place. That is the lesson of Fukushima. In this world nothing is absolutely safe. The public approval for nuclear reactor construction is normally very hard to get. To this end the reactor engineers have constructed what is now called the containment vessel. They explained that should something "unimaginable" happen and fission materials leak from the nuclear core, the containment vessel will confine them and nothing will escape into the external environment. People living near the reactor were told to rest assured that they would never be exposed to radiation. Many people compare this disaster to Chernobyl. The Russian reactor was very different. The Russians did not build a containment vessel to cover their reactor. They did not see a need for that precaution. Because Chernobyl did not have a containment vessel, when that nuclear accident occurred, the result was a massive release of radiation materials that were carried away into whichever direction the wind was blowing. In the case of Three Mile Island, it did have the needed containment vessel and practically all of the fission materials were held inside the dome. Many long-held myths have been broken as a result of the Fukushima No. 1 meltdown. As the molten fuel made its way through the pressure vessel and the molten "lava" melted the bottom of the containment vessel, it released huge amounts of fission gasses and particles to the air and water. The assumed role of the containment vessel proved to be faulty against this type of melt through. If you go back to the original public discussions for the construction of these early nuclear plants, none of the safety devices, such as emergency cooling systems (ECCS), boric acid spray, etc., worked in Fukushima in 2011. What we found, regrettably, is that even the most critical emergency devices are dependent on the availability of power, either in alternating or direct currency. In the case of Fukushima, all power was lost for a prolonged period of time and the complete core meltdown could not be stopped. My recommendation is very simple. We should not assume anything in the design of a nuclear reactor. We should be prepared to cool down the reactor and bring it to cold shutdown with at least one reliable power supply and heat sink. This means that the emergency power should be provided by a multiple of means and locations, and the heat sink should not be dependent on prevailing water alone, but on air and alternative water reservoirs. If this is established, then the reactor can be safe not only against natural disasters but also against man-made catastrophes such as sabotage, plane crashes and terrorist attacks. The Japanese government's official explanation of the Fukushima disaster focuses only on the inability of anyone to predict an extreme natural disaster. Because of this focus, the rest of the world is not taking notice of the important lessons we need to understand to make the world a safer place. Many countries rely on nuclear energy, and yet these same countries assume that because they do not have to worry about earthquakes and tsunamis, what happened in Japan on March 11, 2011 does not apply to them. This could become a fatal mistake. All reactors should be scrutinized against the possible loss of power and coolants, regardless of the cause of the disaster. Nuclear reactors are all built around the same probability assumptions. This pattern of thinking developed in the 1970s to gain the otherwise hard-to-come-by public acceptance of nuclear generated energy. Nuclear engineers, utilities and pronuclear governments around the world needed to persuade their public of the safety of nuclear energy. With the hindsight of Fukushima, all of us who are engineers must challenge ourselves to once again think through the worst possible situation, such as a complete loss of power and coolant for a prolonged time, and we must work together to remedy the situation. We must show how we can avoid core meltdowns under any circumstance. The challenge is no longer just the gaining of public acceptance but to realize that we are being tested by nature, and that God will keep testing us, checking to see if we are ready to ask the right questions. Kenichi Ohmae ­ an MIT-trained nuclear engineer who is also a well-known management consultant ­ is dean of Business Breakthrough University. He was a founder of McKinsey & Co.'s strategic consulting practice and is the author of many books including "The Borderless World." [On Friday April 6, 2012] a small group of California-based activists [had] the opportunity to meet with Nuclear Regulatory Commission Chairman Gregory Jaczko, who [had] come out to California to personally oversee the problems at the San Onofre Nuclear (Waste) Generating Station, which sprung a leak last January and has remained closed ever since (and note that the lights have remained on throughout the Southland in the 2+ months since the outage began). Jaczko is under tremendous pressure right now. Both to keep the plant open AND to shut it down. But he has a duty to fulfill. Will he do it? I don't know what Jaczko expects to see when he comes out here that could possibly give him confidence in San Onofre. The plant is owned and operated by belligerent liars. They lie to each other, they lie to the media, they lie to the public, they lie to the Nuclear Regulatory Commission, and they lies to themselves, thinking "a little radiation is safe" or even "a little radiation is good for you." So every mistake, if they are shielded properly from it, or if it is diluted sufficiently before it reaches the public, is harmless, in their eyes. A bigger leak just needs more dilution for the public, or more shielding for them, or they spread the job out among many workers, including the ever-present "disposable" sub-contractor workers. They even leave their dosimeters off when they go into highly irradiated areas, so they don't accumulate too high a dose and have to stop working on the "fun" stuff, and maybe even get laid off. Nuclear workers do THAT all over the world! In Fukushima they even are doing it, where the doses are hundreds of times higher, or thousands of times higher than what workers are likely to receive at San Onofre. At San Onofre they falsified inspection reports for fire rounds they were supposed to be making because they were too cheap (and still are) to install 24/7 full-time automated fire monitoring systems, which have been required at nuclear plants for decades, since a nearly-disastrous fire at the Brown's Ferry reactor site. Reactor operators were given a choice: Do the fire watch rounds, or buy the proper equipment. SanO choose to falsify doing the rounds, instead. Now it's being reported by renowned nuclear expert whistleblower Arnie Gundersen of Fairewinds Associates that San Onofre's operators apparently tried to pull a fast one on the Nuclear Regulatory Commission, the California Public Utilities Commission (CPUC), and on the public, by pretending the new steam generators were "like-for-like" replacements for the old ones when in fact they were redesigned to have higher heat throughput -- but the changes actually made them wear out more rapidly! San Onofre is the #1 reactor site in the country -- #1 for problems such as intimidating workers to prevent them from reporting problems to the NRC! Yet they are ALSO #1 for safety-related complaints. I'm not sure what that proves, but it isn't good. So what's Chairman Jaczko going to see at the plant? What's he going to hear them tell him that will make everything good? Why can't we ALL see the results of Southern California Edison's research into why their almost-new billion-dollar steam generator tubes are rupturing, wearing out prematurely, and failing pressure tests, way beyond industry standards and even way beyond safety limits set by the Nuclear Regulatory Commission itself! We all know Southern California Edison had already decided not to restart Unit II after a refueling outage and other maintenance was performed, because of finding hundreds of excessively-degraded steam generating tubes with no known cause. The real question is, WHY DIDN'T THEY SHUT DOWN UNIT III once they saw the severity of the problem with Unit II? How close did we come in January, 2012 to Fukushima USA? Close enough. Southern California Edison could have EASILY avoided that near-miss by recognizing that the tube degradation they saw in Unit II's steam generators "might indicate" that there would be a problem in Unit III! That's ALL they had to do! The activists were calling for shutdown at the time, of course -- for just that reason: Inspect the steam generators, something's wrong. But of course, they are ALWAYS calling for shutdown, because the old plant is always falling apart at the seams and is a daily threat to our homes, our lives, our children's future. It's in constant threat of meltdown if anything goes wrong, and it leaks all the time anyway. 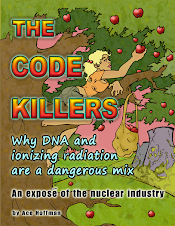 According to the National Academy of Sciences' Biological Effects of Ionizing Radiation VII report (a many-inches-thick multi-volume document), there is NO threshold for radiation's effects, and those effects generally occur in a linear fashion all the way down to the lowest possible measurable dose rate. Whenever San Onofre leaks some radioactive primary coolant into the secondary loop, some radiation is released when that steam is condensed. Then the rest of the leaked radiation is released in dribs and drabs throughout the system over time. Such leaks are always said to be "small" or even "negligible" amounts. But how much is "small"? And what does "negligible" mean anyway when the severity of many of the effects of radiation is NOT reduced as the dose is reduced -- either you get cancer or you don't, for example. What IS reduced as dose rate is reduced is the LIKELIHOOD of suffering such a health effect. One of the ways of measuring a radiation leak is by considering how quickly the isotopes decay. Fast-decaying isotopes are asserted by the nuclear industry to be "almost harmless" because they decay away quickly and can't drift very far before they've decayed to something stable. Long-lived isotopes are said to be "almost harmless" because they decay away slowly. Those with half-lives in the range of human lives are considered to be the most dangerous -- and are the least talked about. Another way of measuring a radiation leak is to consider how fast the wind blows (for radioactive gases) or how much water is needed to dilute a liquid release to "legal" levels. TEPCO was delighted that during their most massive releases from Fukushima in March 2011, winds were strongly out to sea (and towards the western coast of the United States). The winds around San Onofre blow inland, over the local populations, most of the time. Another way of measuring a radiation leak is to calculate how much air the average person inhales in an average day, how much water they drink, etc.. and then guess what portion of that air or water will be radioactive. One must know what radioactive elements leaked, so you can guess what part of the body they might lodge in and what their biological effects are when they decay. Another way of measuring radiation is to assume everyone is the average age, and multiply the presumed exposure level per person by the number of people presumed to be exposed. But since the young and old alike are more susceptible to radiation's dangers, as well as the already-infirm, that method too has obvious flaws that favor the nuclear industry's rosy assessments. Averaging such numbers doesn't help those of us who are NOT average! By the time they're done with their calculations of the effects, as they see it, nobody gets a very high dose, and nobody gets hurt. Radiation releases, even billions of Curies such as was released at Fukushima, that caused thousands of square miles to be evacuated, much of it probably for many generations, actually harmed no one, according to the nuclear industry. It just isn't so. San Onofre is legally allowed to release radiation to the environment all the time. For example, they can legally release about a thirtieth of a teaspoon of tritium each year -- as long as it's properly diluted. By volume, that's not a lot of tritium, but it has to be diluted in billions of gallons of water to be below the legal thresholds for tritium in drinking water. Conveniently, the plant runs billions of gallons of ocean water through its cooling system every day, so they can dilute the tritium as much as they need to, in order to be allowed to release it legally into the environment. That doesn't make it harmless, that just "hides the bodies". And to help them out, the Nuclear Regulatory Commission will INVARIABLY give any nuclear power plant that has an excessively large radiation release a SPECIAL PERMIT for that event -- post-dated, of course. And that's only if they FIND OUT about the release since they rely on industry reporting! San Onofre leaked an unknown quantity of tritium under the closed-and-dismantled (also for steam generator problems, by the way) Unit 1 for DECADES and the NRC never did anything about it, and it undoubtedly leaks tritium under Units II and III whenever it's running now, too. Right now, San Onofre is shut down and if Chairman Jaczko looks the least bit carefully, he should be able to see up close what any fool can see at a distance: San Onofre is an accident waiting to happen. We've come close here countless times, but this latest problem is costing the ratepayers hundreds of millions of dollars while Southern California Edison awaits the Nuclear Regulatory Commission's "go-ahead" to restart the reactors with faulty steam generators and band-aid fixes, OR they are awaiting the more obvious determination -- that the steam generators do, in fact, have to be replaced because bursting seven tubes in pressure tests and one while running is a BIG NO-NO in the nuclear business, and if ANYONE restarts that reactor NOW and EVEN ONE steam generator tube ruptures in EITHER reactor, someone should go to jail... with or without an ensuing meltdown. Everyone admits that the steam generators are vital to keeping the reactor safely operating -- a cascading failure of the tubing could be catastrophic. Period, that's not debatable. What isn't being mentioned is that San Onofre's are not only among the dozen or so largest steam generators in the world, they ONLY have two each and that's also unusual and NOT GOOD because a failure in one leaves ONLY one steam generator still operating -- and that's NOT a lot of backup when metal parts are flinging throughout the reactor, water is gushing out and flashing to steam at 2200 psi pressure (rapidly dropping), and the control rods aren't inserting properly because the rush of water out the hole produced unexpectedly high flow rates in the reactor! Nasty! Okay, maybe they'll get lucky -- they have so far. But for the cost of a few billion dollars which is going to probably get spent one way or another anyway, they can do the right thing. Instead of fixing that old jalopy from head to toe (because "new" reactors are forbidden by law in California) and HOPING it works again, or worse yet, instead of only fixing what they can get away with, which is what they want to do, they COULD put that money directly into renewable energy solutions, conservation solutions -- ANYTHING but San Onofre. Lastly, one should never forget that EVEN IF SanO NEVER melts down, we still have the GROWING problem of the nuclear waste it creates. As the waste cools, it becomes thousands of times less difficult to handle, but this happens very slowly, over a period of 5 to 10 years, and in any event, the waste does NOT become safer for hundreds of thousands of years IF something DOES go wrong -- for example, if an airplane were to crash into a "dry cask" storage container. Not irrelevant considering the dry cask "farm" at San Onofre is DIRECTLY under several major flight paths, and already contains over a MILLION POUNDS of radioactive waste, and is destined to contain TENS OF MILLIONS OF POUNDS of radioactive, vulnerable, "spent" fuel. So we need to stop making more of this toxic waste immediately. There is no solution to the waste problem, and after 60 years and at least 60 billion dollars spent on Yucca Mountain and other proposed solutions, no scientifically credible solution is anywhere on the horizon. All that waste will just sit on our coast,. a danger to the whole world, for centuries. It's time to stop making things worse, it's time to stop increasing the risk daily. It's time to find alternatives to nuclear power. It's time to shut San Onofre forever. The author, 55, is an educational software developer who creates, among other things, animated interactive industrial training programs for large-machinery maintenance personnel to learn their craft. His industrial training programs have been used by several branches of the U.S. government including the military, as well as by several other military training programs around the world and more than a thousand universities, colleges, etc.. He is also the co-author and programmer of a college-level statistics tutorial (statistical analysis being a mainstay of ALL maintenance policies!) and an award-winning Animated Periodic Table of the Elements. He is the author of the downloadable free ebook THE CODE KILLERS, available in pdf form at his personal web site: www.acehoffman.org . Ace has been observing San Onofre in particular for ~20 years, ever since moving to Carlsbad in the early 1990s, and has studied nuclear issues for ~40 years, including interviewing dozens of nuclear physicists as well as nuclear engineers, whistleblowers and hundreds of other scientists in all related fields. The opinions expressed in this article are his own. Letter: Is San Clemente a Safe Place? On March 29, the National Academy of Sciences released a 460-page report about cancer risks associated with living near a nuclear power plant. They recommended six areas in the United States for intensive studies of possible cancer links. Our area was one of the chosen six: They want epidemiological studies done for towns within 30 miles of San Onofre Nuclear Generating Station. Is south Orange County becoming the poster child for a place where it is dangerous to live, work or bring up a family? While many are concerned about accidental radiation leaks such as those in January, the dirty little secret is that reactors routinely release radiation without announcement. Air ejectors release radioactivity into the atmosphere and pumps discharge radionuclides into the ocean. Regulations on the deliberate release of radioactivity are specified in the Nuclear Regulatory Commission's federal code in which reference is made to ALARA or "As Low As Reasonably Achievable." Knowing that nuclear power plants cannot operate without regularly releasing low-level radiation, government agencies allow them to do so. Without monitoring, we have no idea what is released or when. Edison is not required to announce either the dates or concentrations of these secret releases. They do post yearly averages, but we have no way of knowing if the numbers are the result of possibly dangerous levels on some days averaged with no releases on other days. The industry claims that these doses are low for adult males, but to have radiation released year after year, decade after decade is problematic, especially for children. If you want to know what San Onofre released two years ago, study Edison's own reports to the NRC. In 2010, the list included 34 radionuclides, including some of the most toxic substances on the planet. There were 44 hours of atmospheric batch releases and 550 hours of liquid radioactive releases into the ocean. How many surfers are aware of this? In addition, Edison trucked 27 flatbed trailers of radioactive solid waste to Utah, through San Clemente and lots of other towns. Many have difficulty fearing invisible microscopic radioactive particles. We do know that radiation causes cancer, but some disregard health threats that take years to develop. Individual doses are made to sound insignificant, but the effects are cumulative. Children are 15 to 20 times more vulnerable to radiation, and the fetus is 30 to 50 times more sensitive. Recent studies published in the International Journal of Cancer, reported that children living near nuclear power plants in Germany and France are twice as likely to get childhood leukemia. In California alone, there were 56,030 cancer deaths in 2011 and 163,480 new cases of cancer. No one knows the exact cause of most cases, but experts tell us that the vast majority of cancer has environmental origins. If San Clemente wants to be a safe place to live and work, shouldn't we have radiation monitoring of air and water plus epidemiological studies to learn if we are being harmed? This was the main issue at a recent City Council meeting where droves of citizens lined up to request radiation monitoring. When City Councilwoman Lori Donchak courageously made a motion to ask for independent publicly accessible radiation monitoring in town, the other four councilmen refused even to second the motion. The council ignored the warnings of City Manager George Scarborough who pointed out that the current real time monitoring near the plant is not available to the public. Council members said that everyone should trust the authorities and that those who favored increased safety for San Clemente were engaging in fear mongering. Perhaps the main lesson learned from Fukushima is the collusion between government and industry. The government and the nuclear industry in Japan lied about radiation dangers before, during and after the meltdown. The tab for Fukushima is already $300 billion and still rising. It seems reasonable that anyone living in the shadow of San Onofre should be skeptical of those who are willing to risk our future. We should trust scientists long before we trust those who profit. In 2006, former Soviet President Mikhail Gorbachev remarked that it was Chernobyl that really caused the downfall of the former Soviet Union. One serious accident here might do the same thing to our country. Thousands of citizens in India are fighting against opening the Kudankulam nuclear reactor there. Ashok Kumar has written this poetic response to a biased, pro-nuclear article in The Hindu. >Re: The Hindu, CHENNAI, February 29, 2012, "Kudankulam will give power for 4 million people"
>Your logic betrays human fallibility. Are not the most advanced design and one off Fuku contradictory? How can Fuku be one off when there are 300 or more reactors of vintage design? If its state of the art it is untested! You cannot test it full scale for say a loss of coolant. And you have just now proved that we are all guinea pigs(including mother earth) for this new design! Nuclears require infallibility in forbidding the propagation of error! And how many hackers are there! And safety? What do you mean excellent? You have neglected the ECRR 2003 regulations for risk which show the ICRP/IAEA regulations you have followed for the most advanced are unscientific models for internal emitters! Your regulations are three orders of magnitude more risky! So it is a Kurt Goedel theorem unsafe! If you assume any small risk, that is sure to be exceeded! Because we do not have divinely perfect automata which assure us of the safety of nukes. That means that even the new ones you are planning are duds! No nukes, never. Shut them down. Thats why god created a nuke safely 150 million kilometers away, the sun which we have been harnessing via living energy. Thus we were able to return all that we took from mother earth in an acceptable fashion. Come modern civilization and all this by force is taken away from us and their ugly contraptions fed the greed of us all! And Mahatma Gandhi gave notice in 1908: Given enough time modern civilization will destroy itself! He captured the essence of modern civilization: Falsehood is the foundation. >R. Ashok Kumar,B.E.,M.E(Power), Negentropist, Bombay Sarvodaya Mandal, 299, Tardeo Road, Nana Chowk, Mumbai-400007.